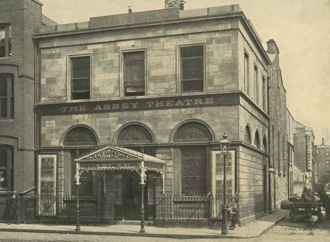 This website and database contain details of the music that was performed at the Abbey Theatre from the early years of its existence until 1965 at which point the Abbey orchestra was disbanded. The importance of the Abbey Theatre in Ireland’s cultural history is without doubt, but little is known of the musical life of the theatre. The purpose of this resource is to share the information detailed on programmes of the Abbey Theatre, which reveal that a vast amount of music was performed there under the direction of John F. Larchet, Frederick May, Eamon Ó Gallchobhair, Seán Ó Riada and others.